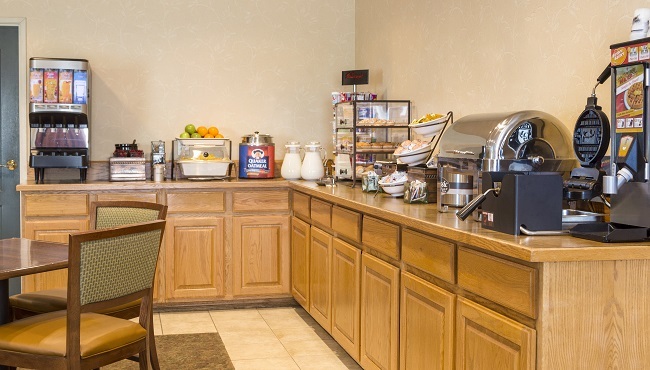 Fuel your day with the complimentary, hot breakfast served at the Country Inn & Suites, Nevada, MO. You can sample biscuits with gravy, golden waffles and oatmeal served on classic diningware, or opt for a lighter meal of yogurt and cereal. If you’re in a hurry, grab a bagel and be on your way. When it’s time for lunch or dinner, try a nearby restaurant like Backroads Steakhouse or White Grill less than two miles down the road.